Eve Collins has set in motion a chain of events that could destroy everything she's ever loved. 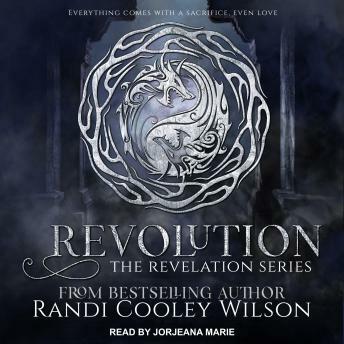 Surrounded by dangerous creatures, dark worlds, and the struggle to become who she was meant to be, Eve must complete her ascension and accept her destiny. War has begun. Losing is not an option. With dangers lurking around each corner, and everything against her, will Eve sacrifice her own happiness in order to tip the scale of balance? Which side will rise to power, and which will fall to fate? In this fourth installment in the Revelation series, Eve must risk everything she loves in order to prevent a centuries-old war.